Free Domestic Shipping on all orders over $35. 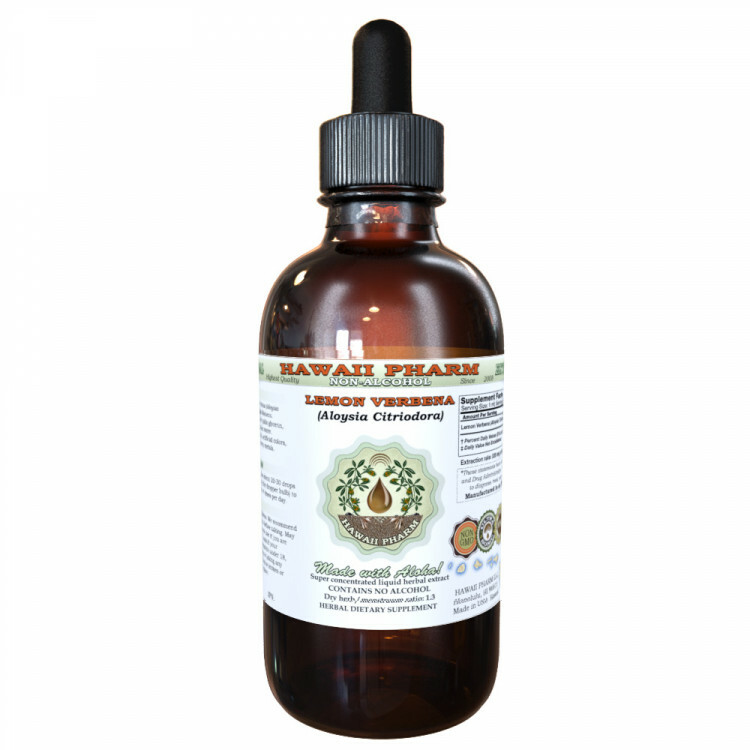 We made this Lemon Verbena liquid extract using ONLY natural ingredients! This extract does not contain Alcohol, GMO, gluten, artificial colors, heavy metals, preservatives, pesticides or fertilizers! Expertly extracted under strict quality standards and procedures from Certified Organic Lemon Verbena Dried leaf. We meticulously produce our extracts according to precise standards where each herb is extracted according to the distinct characteristic of each plant! Super concentrated Lemon Verbena glycerite: dry plant material / menstruum ratio is 1:3! Extraction rate: 1 ml of glycerite is equal to 270-330 mg of Dried herb! We produce our liquid extracts using ONLY natural ingredients! All herbs are organically grown, ethically wild harvested, or selectively imported. Our glycerites do not contain alcohol, GMO, gluten, artificial colors, heavy metals, preservatives, pesticides or fertilizers! Strength: Dry plant material / solvents ratio 1:3 w/v. Please note: There is unfiltered extract in 32 oz jar. 32 oz jars contain some plant material inside! Indications: Do not use if seal is broken or missing. Safety information: Keep out of the reach of Children. Not to be used during pregnancy. Consult a physician before using if nursing or taking any medications. Do not use if you are allergic to any ingredients. Do not use if seal is broken or missing. Keep refrigerated after openening. Suggested use and dosage: Shake well before using. Take about 20-30 drops (1 ml or 1 full squeeze of the dropper bulb) to 2 oz of juice or water up to 4 times a day. 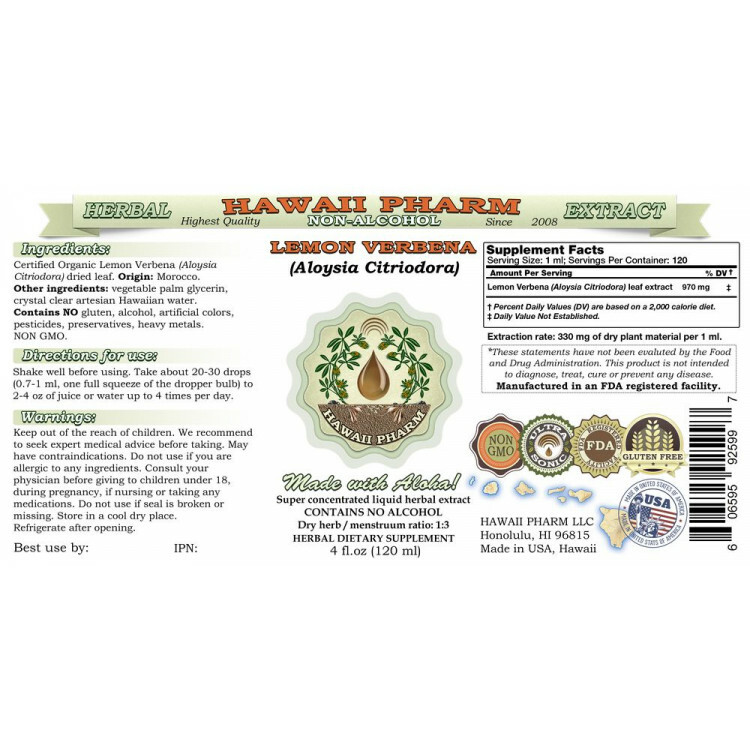 Made in FDA Registered facility, Hawaii, USA. HawaiiPharm is committed to providing each customer with the highest standard of customer service. fast, very carefully wrapped, thanks! Excellent product, good packing, quick shipping. Couldn't be better. Mellow short lasting buzz. Best in moderation as the body seems to adjust quickly and build up a tolerance. Not a bad flavor. Does the job. Thank you for offering Chaparral at such a great price! Thank you also for speedy delivery! The outside packaging was fine but the package itself had a cut in it about 1/2 inch long and the contents spilled out into the outside package and onto my floor when I opened it. That was incredibly fast service from Hawaii, & the Lungwort & Coltsfoot is wonderful. Thank you! Thought this would not work but it does. Shipped quick and as described. Arrived with no damage. accurate description, sturdy packaging, quick delivery ... great! My experience was definitely a five star! I will be ordering again in the future. Service was prompt, and the tinture is just what I wanted . I'm really happy with this product. It does everything it says it will do. Good quality. The product was as shown and arrived promptly. Excellent product, excellent delivery time - as usual! gave to a friend to help raise her platelets---time will tell Thank you! Arrived as advertised and securely packaged. what a fast shipping !! 8 days! very good product . I get good result after 10 days. Quick. Got what I ordered. This will knock you out. I have to be careful not to take more than two squirts or I'll struggle a little in the morning. Definitely restful REM sleep and wake up refreshed. If you take ANYTHING else to sleep, you need to try this instead. Forget all those prescription and dangerous/addictive garbage medications and take this amazing and safe extract. You'll never go back! I bought. They sold. They mailed. The item arrived. All is as it should be.